(1) Would I still give the calcium with D3, but less often. Like twice a month instead of once a week? For "other insect" I am going to be keeping a variety of other "treat" bugs around for variety. I was thinking mostly hookworm, silkworm, calci worm, phoenix worms, and if I have to, crickets. I can get these other bugs every 3 months or so at the local reptile expo. I have a friend of a friend that raises dubia for her collection and I am raising my own mealworms. I intend on getting the pro gutload powder for 24 hour pre-feeding the worms and the adult bearded dragon food to crush for the roaches. "Snack" days are just that. For the 12-18 month period it's to keep the every other day feeding schedule but not completely fill them up on the snack day. 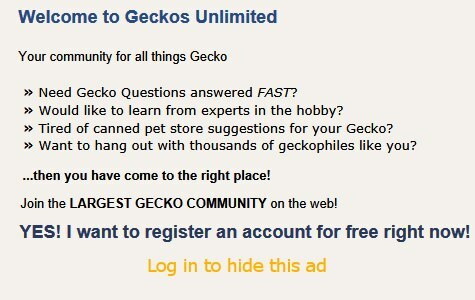 I definitely don't need a fat gecko. I hope it will also ease him from daily feeding to two to three times a week feeding. You're welcome! Just as your schedule above indicates when your leo is 18+ months, continue Repti Calcium with D3 feedings the first Monday of each month. On other Mondays, use Repti Calcium without D3. On each Thursday use Reptivite without D3. I suggest dubia on the Zoo Med Repti Calcium with D3 Mondays @ only 1 feeding per month and on the Repti Calcium without D3 Mondays as long as the Shade Dweller UVB lighting is working. That supplement may stick better to dubia than it does to mealworms. It's lighting guru Fran Baines, DVM, who suggests a backup dose of powdered D3 once a month. I don't know whether hookworms make good leo food. Do you mean hornworms? What do you think about using ProGutload 24/7 as the mealworm bedding, not just the 24 hour pre-feeding for mealworms? Last edited by Elizabeth Freer; 12-30-2018 at 06:50 AM. Yeah lol -I meant Hornworms. Just used to writing hookworm from work I guess. Been seeing a lot of that with Christmas puppies and what not. I used Dr Baines suggestions and your schedule to come up with mine - I'm glad it seems adequate. Just so that you are aware, you can have bloodwork done as adults. Last edited by Sg612; 12-30-2018 at 08:33 PM. Your schedule looks good although we only dusted with D3 supplement once a month while using UVB. Consider the D3 that goes in the food as well, although it’s likely on the low side. You will see more tail action with crickets and so adding a few a week would be good. Roaches are great, however they hide under things and sit very still at times and the Leo is normally attracted to movement. I guess, I just really enjoy seeing that tail wiggle . I think you said this is going to be your first? I don’t recall tail action with roaches. They seem much more excited hunting crickets. Oh, I know that you can have bloodwork done - I could even draw it myself and send it out - but it's not something I would put a small lizard through unless I had health concerns - unlike my cats who get yearly bloodwork just because I can and they tolerate it well. I think you said this is going to be your first? Thanks! And yeah this will be my first gecko. I'm going to repticon in January, and if I don't find one there I'll wait for my local reptile in February. Just want to get everything right prior to getting the gecko. I'm sure I will learn a ton and have to tweak things. I've read about this "tail-waggling" and those videos are super cute! I just hope that he (I want a male) eats well and is healthy. I try and avoid crickets, I've had them infect my animals with pin worms and other parasites more than other insects. Last edited by SpottedDragon; 12-30-2018 at 09:41 PM. As far as I know pinworms are host specific, rarely pathogenic in a normal immune system. In every leopard gecko samples that I’ve known off had pinworms present in low numbers, even in those fed only mealworms and samples taken from wild caught.